To many people in the developed world, the dark underbelly of the modern economy is the means through which we obtain the consumer goods we own. While rich westerners splurge on iPhones and designer clothing, the other end of the supply chain reveals long hours, hazardous working conditions, and low pay. The anti-”sweatshop” movement has grown since the 1990s, calling for boycotts of companies who use sweatshops to produce consumer goods. Intellectual Noam Chomsky described the student anti-sweatshop movement as “In some ways, like the anti-apartheid movement, except that in this case, it’s striking at the core of the relations of exploitation”. Yet on the other side of the world, low level manufacturing jobs have bettered the lives of workers and paved the way for millions to escape desperate poverty. Following the economic liberalization of secretary general Deng Xiaoping in the 1980s, China’s coastal cities became and still are the site of the greatest internal migration in human history. Since 1981, 150 million people in rural China have chosen to leave the countryside to work in urban manufacturing centers on the coast. Driven in search of a better life, a whole generation of rural and urban Chinese found jobs making toys and t-shirts for western markets. Hours were long, and pay meager by western standards. Yet higher wages and avenues for more specialized work these jobs provided meant workers out earned family members farming in their home provinces. As a result of the development that followed, millions of Chinese have since been lifted out of poverty. 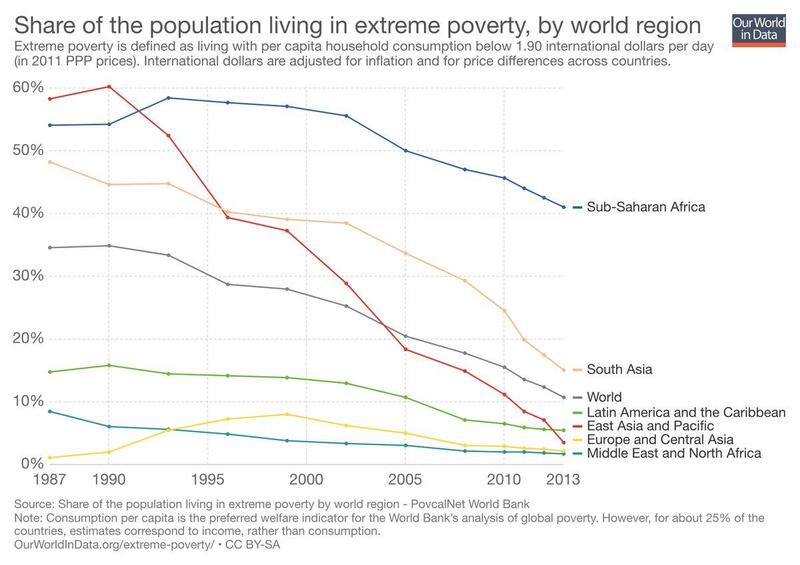 In 1981, 84% of China’s population lived in extreme poverty, whereas that figure was just 2% in 2010 according to Ourworldindata. GDP per capita today is 46 times what it was in 1981, according to the world bank. South Korea and Taiwan underwent the same process in the 20th century developing into high income economies in the 20th century. Both countries were among the poorest in the world several decades ago, yet people living in South Korea or Taiwan today are no worse off than people in Europe or the United States. As Jeffrey Sachs, who serves as special adviser to UN secretary general Antonio Guterres, stated facetiously in a discussion panel, “My concern is not that there are too many sweatshops, but that there are too few.” There are few issues where liberal economists like Sachs and Paul Krugman can agree with libertarian think tanks like the Cato institute. In the case of sweatshops however, acknowledge the important role these jobs play in improving the livelihoods of the world’s global poor. Well meaning critics of globalization are right to be appalled by labor violations and working conditions. Yet whether it be sweatshops or subsistence farming, bad conditions are endemic in the developing world. Wages and conditions are still far behind western standards, but conditions are not much better elsewhere. “In the poorest countries, the primary economic activity is subsistence agriculture,” Orazem said. 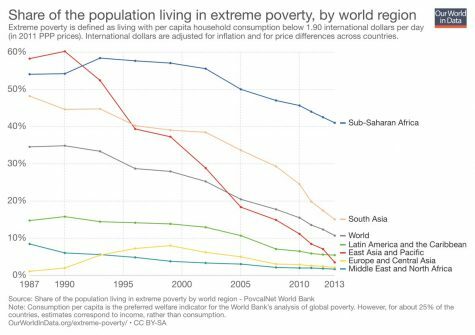 “And for some of those countries, a good share of the population is below subsistence.” Although less visible, subsistence farming is closely tied to poverty. 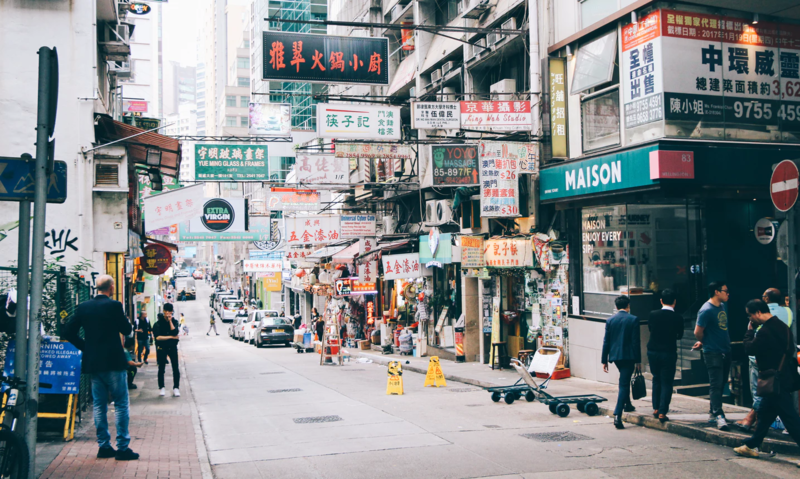 Like people in China who chose to migrate in search of better work, workers elsewhere in the developing world move to metropolitan areas in pursuit of these jobs, having decided that making shoes and t-shirts is better than struggling to grow enough to feed one’s family. Although wages are still low by western standards, “sweatshop” wages were consistently better than the alternatives, according to a 2006 study done by San Jose State University. Taking reported wages from anti-sweatshop groups, two economists observed that despite these biases, sweatshop wages exceed average income in between eight and ten out of ten countries surveyed, doubling or tripling national income in several cases. Manufacturing jobs also have powerful social impacts in the developing world. A 2008 University of Washington study in Bangladesh found that in villages near sweatshops, girls were substantially less likely to get pregnant or be married off, and school enrollment rates were 38.6% higher. The authors attributed this difference to higher pay, which meant families could afford to send their daughters to school and support them financially. Beyond subsistence farming, many alternatives for the poor in the developing world are worse than any manufacturing job. For people who lived on a sprawling Manila garbage dump known as “smokey mountain”, that alternative meant making a living searching through garbage to find recyclables to sell. Nobel prize-winning Economist Paul Krugman writes that those living there did so because “the $10 or so a squatter family could clear in a day was better than the alternatives,” criminal activity or prostitution. Families living in the garbage dump of Phnom Penh, Cambodia lead a similar life. There, “a job in a sweatshop is a cherished dream, an escalator out of poverty, the kind of gauzy if probably unrealistic ambition that parents everywhere often have for their children,” Nicholas Kristof of the New York Times writes. This is not to suggest all attempts to regulate similar labor are wrong, especially environmental regulations. Low cost regulations like having multiple fire exits would save countless lives, such as during a 2012 fire in Bangladesh that claimed the lives of 111 people and left many more injured. If imposed, regulations should be established uniformly to prevent resources from fleeing to countries where labor is cheaper, but still light enough to ensure developing export driven economies can continue to survive. “You can, when you contract with producers in other countries, put requirements for work standards in the contract, and consumers do put pressure on companies to protect the working conditions of the people who are producing their products,” Orazem said. “For the most part, if the product is going to be produced to western market standards, it has to be produced under some amount of care, otherwise it won’t be sold. There is a certain amount of regulation that comes into place simply by the functioning of the marketplace, but it’s very hard to impose standards beyond contracts on other countries.” Regulating labor standards can prove a problematic issue, with the possibility of companies moving to cheaper countries always looming overhead if standards are not the same everywhere. Yet even the most well intentioned attempts at regulation can end up severely punishing workers. Following Senator Tom Harkin’s merely proposing anti-child labor legislation in 1993, 50,000 underage workers in Bangladesh were dismissed from work in the garment industry. Several years later, UNICEF found that those laid off had resorted to “stone-crushing, street hustling and prostitution.” It is only after countries become wealthier and living standards rise that families can afford to send their children to school. To develop is a difficult path to walk. However, we in the west should take a serious look at the reality of the third world before proposing policy solutions. First world action can very easily endanger the lives and livelihoods of the world’s most vulnerable people.